Learn Sumerian with Gudea, prince of Lagaš! Welcome to Esagil Games, where Ancient Mesopotamia comes to life. Hello! I'm Iqisha. I live in the city of Uruk, in the south of Mesopotamia. 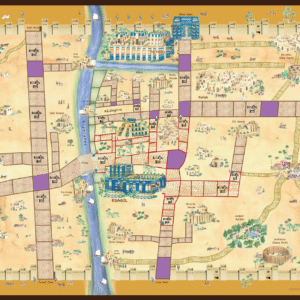 "Esagil Games" is all about bringing the fascinating Mesopotamian civilisations to your home! We design our games and teaching tools to be: fun, unique, engaging, original, and educational. 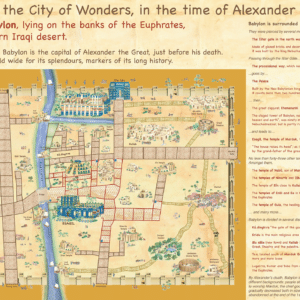 "Esagil Games" started with a board game Esagil, Treasure Hunt in Babylon. To find out more about it, and pre-order it, click here. Coming soon on "Esagil games"
Welcome to my world! Want to know more? Sign up here to receive our monthly tuppum!